Statistical inference is finding useful applications in numerous fields, from sociology and econometrics to biostatistics. 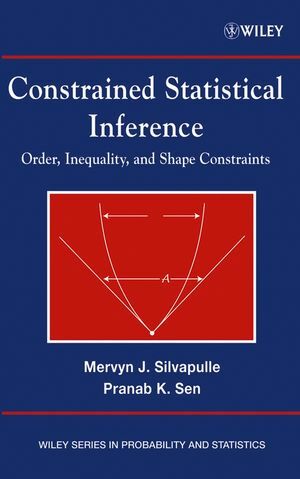 This volume enables professionals in these and related fields to master the concepts of statistical inference under inequality constraints and to apply the theory to problems in a variety of areas. 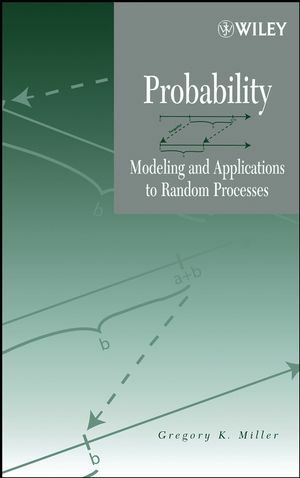 Constrained Statistical Inference: Order, Inequality, and Shape Constraints provides a unified and up-to-date treatment of the methodology. It clearly illustrates concepts with practical examples from a variety of fields, focusing on sociology, econometrics, and biostatistics. The authors also discuss a broad range of other inequality-constrained inference problems that do not fit well in the contemplated unified framework, providing a meaningful way for readers to comprehend methodological resolutions. MERVYN J. SILVAPULLE, PhD, is an Associate Professor in the Department of Statistical Science at La Trobe University in Bundoora, Australia. He received his PhD in statistics from the Australian National University in 1981. PRANAB K. SEN, PhD, is a Professor in the Departments of Biostatistics and Statistics and Operations Research at the University of North Carolina at Chapel Hill. He received his PhD in 1962 from Calcutta University, India. 1.3 Coverage and Organization of the Book. 2. Comparison of Population Means and Isotonic Regression. 2.1 Ordered Hypothesis Involving Population Means. 2.2 Test of Inequality Constraints. 2.4 Isotonic Regression: Results Related to Computational Formulas. 3. Two Inequality Constrained Tests on Normal Means. 3.2 Statement of Two General Testing Problems. 3.3 Theory: The Basics in 2 Dimensions. 3.5 Computing the Tail Probabilities of chi-bar-square Distributions. 3.6 Detailed Results relating to chi-bar-square Distributions. 3.7 LRT for Type A Problems: V is known. 3.8 LRT for Type B Problems: V is known. 3.9 Inequality Constrained Tests in the Linear Model. 3.10 Tests When V is known. 3.12 Appendix 1: Convex Cones. 4. Tests in General Parametric Models. 4.3 Tests of Rθ = 0 against Rθ ≥ 0. 4.4 Tests of h(θ) = 0. 4.5 An Overview of Score Tests with no Inequality Constraints. 4.6 Local Score-type Tests of Ho : ψ = 0 vs H1 : ψ &epsis; Ψ. 4.7 Approximating Cones and Tangent Cones. 4.9 Properties of the mle When the True Value is on the Boundary. 5.3 Intersection Union Tests (IUT). 5.5 Restricted Alternatives and Simes-type Procedures. 6. Analysis of Categorical Data. 6.3 Odds Ratios and Monotone Dependence. 6.4 Analysis of 2 x c Contingency Tables. 6.5 Test to Establish that Treatment is Better than Control. 6.6 Analysis of r x c Tables. 6.7 Square Tables and Marginal Homogeneity. 7.2 Inference on Monotone Density Function. 7.3 Inference on Unimodal Density Function. 7.4 Inference on Shape Constrained Hazard Functionals. 7.5 Inference on DMRL Functions. 7.6 Isotonic Nonparametric Regression: Estimation. 7.7 Shape Constraints: Hypothesis Testing. 8.2 Statistical Decision Theory Motivations. 8.3 Stein’s Paradox and Shrinkage Estimation. 8.5 PC and Shrinkage Estimation in CSI. 8.6 Bayes Tests in CSI. 8.7 Some Decision Theoretic Aspects: Hypothesis Testing. 9.1 Two-sample Problem with Multivariate Responses. 9.2 Testing that an Identified Treatment is the Best: The mini-test.